Paper Wings is a community owned company of women in Self Help Groups (SHGs) from villages in Haryana. It is an initiative from Action Center for Transformation (ACT) which aims to achieve sustainable livelihoods by providing skill training and employment to women artisans, largely in the recycling and upcycling of newspapers. Aimed at the social and economic empowerment of rural women, a number of initiatives to enhance local handcrafting skills are developed by ACT. One of these is the ‘Kaagaz ke Paankh’ program which improves the standard of living of rural women in a very innovative and practical way. The program engages women in villages in Bondshi, near Gurgaon, and includes skill and value based training on art, paper upcycling, design development, financial literacy and enterprise building. Presently ACT is engaged with hundred women who are participating directly and indirectly. ACT works on the principles of fair trade. The artisans get paid through to the bank accounts of the SHGs. It also promotes an eco-conscious society by upcycling and recycling waste, which in return generates a fair income to the artisans. 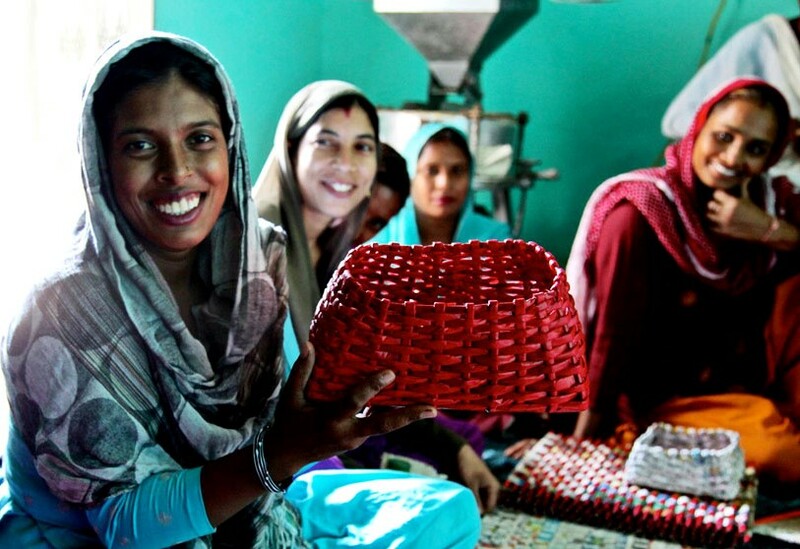 Women on Wings and ACT will partner on their joint goal of growing the company and thus the number of female artisans.